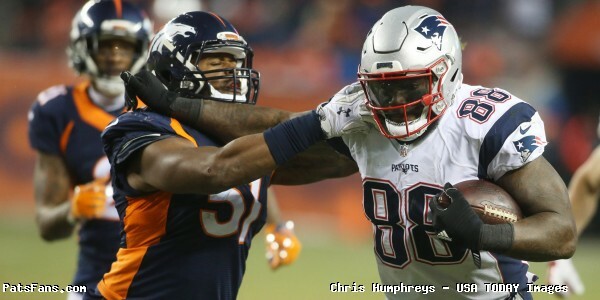 When the New England Patriots traded for defensive end Michael Bennett earlier this month, rumors started swirling that his brother Martellus would come out of retirement to play with him in Foxboro. Martellus, a key contributor for the 2016 Super Bowl champions, was once quoted saying he “would love” playing with Michael. That rumor came ended Sunday when Martellus took to Instagram explaining why he won’t return to the NFL in 2019. Since retirement, Bennett devoted time to the “Imagination Agency”, a company he founded focusing on children’s education with creative literature. He wrote his first book entitled “Dear Black Boy” last year. 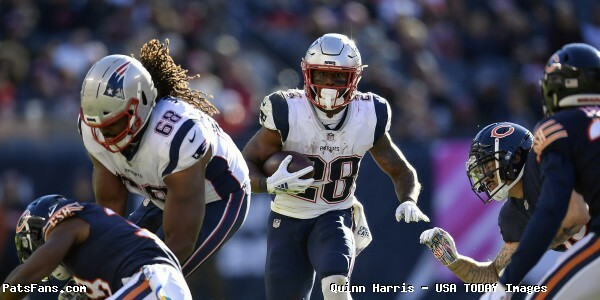 This entry was posted in 2019 Patriots Offseason, 2019 Patriots offseason, Patriots News and tagged Martellus Bennett, Michael Bennett on March 19, 2019 by Robert Alvarez. 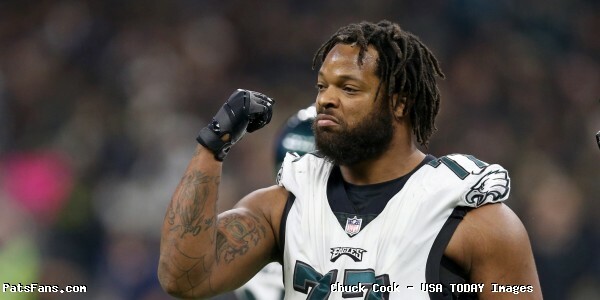 On Thursday, the New England Patriots trade with Philadelphia Eagles became official, and defensive end Michael Bennett became the second Bennett brother to play in Foxboro. 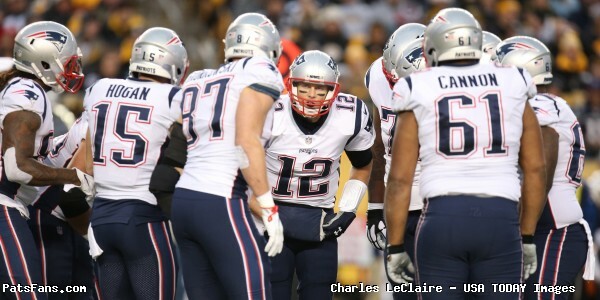 Speaking with Megan O’Brien of Patriots.com, Bennett discussed his feelings about his new team. 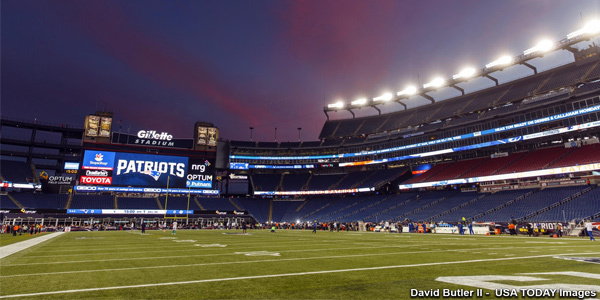 The Patriots traded the Eagles a 2020 fifth round pick for Bennett and a 2020 seventh rounder. Bennett played in all 16 regular season games for Philadelphia in 2018, registering nine sacks, 34 tackles and two forced fumbles. In two playoff games, Bennett had seven tackles and one sack. On Thursday, Bennett shared his excitement for a new start in New England over Twitter and Instagram. 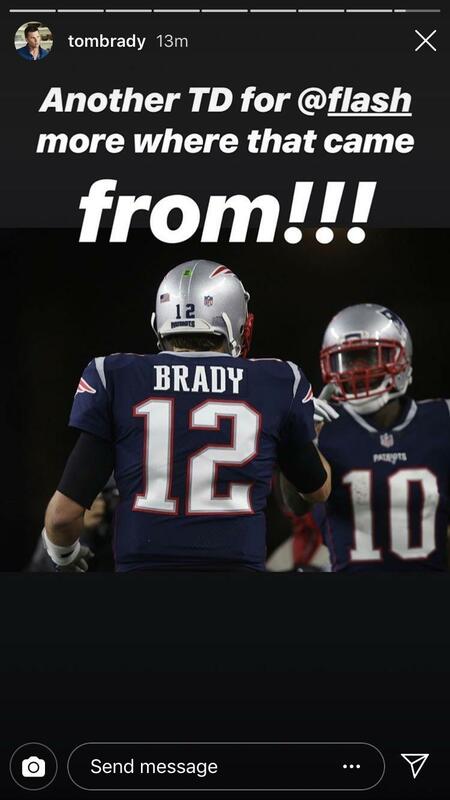 Michael’s brother Martellus, who won a Super Bowl with the Patriots in 2016, shared a congratulatory message on his Instagram page. 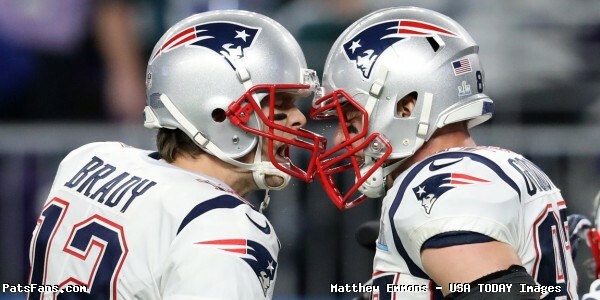 This entry was posted in 2019 Patriots offseason, Patriots News, Patriots Photos, Patriots Twitter and tagged Martellus Bennett, Michael Bennett on March 15, 2019 by Robert Alvarez. On Tuesday, current and former members of the New England Patriots took time to share Christmas messages and photographs over their social media accounts. Yea let’s all force 5 kids to take a group picture together in our pjs that should be fun! Merry Christmas from the McCourty’s! ‘Twas the night before Christmas. Happy Holidays! Merry Christmas from the squad! Merry Christmas from 83% of our family. (Healy has her arm around her missing bro. He’s at the Alamo Bowl! #gocougs) We hope this holiday season is a blessed one for you all! Merry Christmas from The Bennetts. Christmas Card Doodles. Merry Christmas hope you have a blessed day. Merry Christmas to all who celebrate. Hope you all are able to spend the day with family, friends, and loved ones! 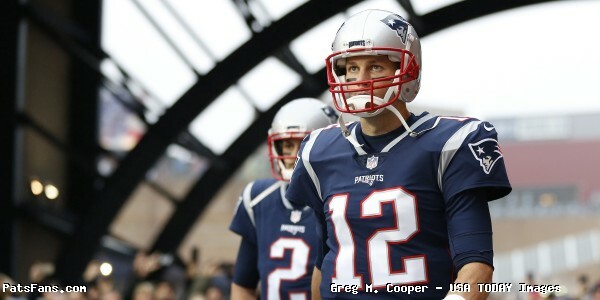 This entry was posted in 2018 Patriots Regular Season, Patriots Photos, Patriots Twitter and tagged Chris Hogan, David Andrews, Devin McCourty, Donte Stallworth, Drew Bledsoe, Duron Harmon, Elandon Roberts, Jason McCourty, Jeremy Hill, Jerod Mayo, Jonathan Jones, Martellus Bennett, Patrick Chung, Rob Ninkovich, Rodney Harrison, Sony Michel, Stephon Gilmore, Tom Brady on December 26, 2018 by Robert Alvarez. Corey Dillon is NOT on social media. For the past two weeks, a Twitter account going by the name “@Corey28Dillon” made its rounds under the assumption that former Cincinnati Bengals and New England Patriots running back joined the social media site. The account shared “personal” tweets such as these below leading many to believe it was legitimate. The account began duping the NFL community, including old teammates. Thank you – I appreciate that a whole lot – and hi. At some point during this time, Twitter, for unknown reasons, verified the account leading to more assurance that it was real and more players and media began following it. Finally got this fancy blue ✔️!! You gotta drop by the studio one day. That’s incredibly high praise coming from somebody like you Corey. Wow, thank YOU. I absolutely loved watching you play – one of the absolute best! The NFL’s official throwback video account even tagged the Dillon page. Not one 200-yard rusher. But FOUR around the NFL.@curtismartin. @WarrickDunn. @Corey28Dillon. And Mike Anderson. As the account gained followers and momentum, Dillon’s old Bengals teammate Willie Anderson took notice of the identity stealing impostor and had a video message setup by Dillon himself clarifying it wasn’t who it said it was. So if you have a Twitter account, do NOT follow the impostor Corey Dillon. UPDATE: The fake account is back active as of Tuesday afternoon and still has a verified checkmark. This entry was posted in Patriots News, Patriots Twitter and tagged Corey Dillon, James White, Martellus Bennett, Tedy Bruschi on December 4, 2018 by Robert Alvarez. 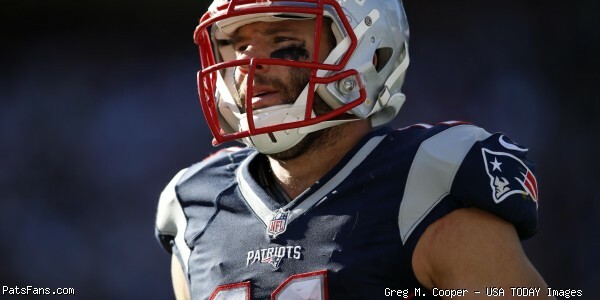 On Sunday, Many New England Patriots players both current and former took time out of their day to create Father’s Day tribute posts on their social media accounts. Some of the best can be seen below. The string in her hand is from a balloon that flew away, she was upset and crying in the car. So I drew her a quick sketch of a new balloon (I always have a notebook with me) and told her not to let this one fly away. When she took her nap she brought the balloon I made her with her. She still talks about the balloon I made her and actually still has it. Happy Father's day to all of the dad's out there. Don't want for special moments to happen, create special moments. If I’m able to be half the father you were to me, I’ll still be twice as good as the rest. Happy Fathers Day to the best I knew, James Henry Harrison Sr! Happy Father’s Day pops ! This entry was posted in 2018 Patriots Offseason, Patriots Photos and tagged Danny Shelton, Elandon Roberts, Ja'Whaun Bentley, James Harrison, Martellus Bennett, Matt Chatham, Rob Ninkovich, Tedy Bruschi, Tom Brady on June 18, 2018 by Robert Alvarez. Over the past week a few more NFL players have come out voicing their thoughts on how tough it is to play in New England under head coach Bill Belichick and shared some criticism of the so-called “Patriot Way” coaching philosophy. On May 26th, the San Francisco Chronicle published an interview with current 49ers defensive Cassius Marsh, who had strong strong words for Belichick during his brief time in New England last season. Marsh was waived after just nine games last season. 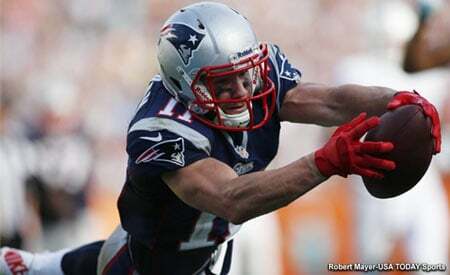 Marsh later clarified his comments following backlash from Patriots fans over social media. 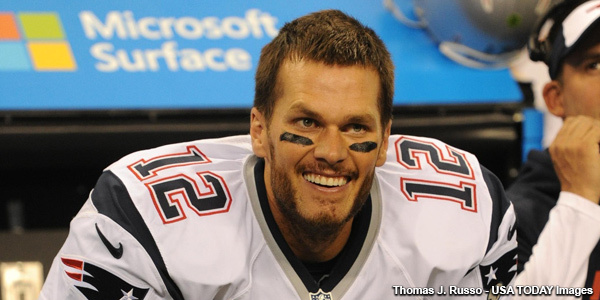 “I just want to address all you Patriots fans who don’t like this new article. I’m sorry to hurt your feelings. Seems to be breaking your heart. But if you can’t handle the truth, stay off my page. Don’t read articles. That’s how I felt. That’s how I still feel and I’m grateful to be away from there, grateful to be where I’m at.” He said via a since deleted video to Reddit. The negativity didn’t stop there, on Wednesday, Philadelphia Eagles lineman Brandon Brooks called his time with Bill O’Brien, a Belichick protege, “miserable” while he was in Houston with the Texans. In response to the latest critics, a few former Patriots took to Twitter to defend their former team while also providing some clarity to the “no fun” comments made by Marsh and Brooks. We had fun winning our rings, this whole conversation is just stupid. It wasn’t easy, but not easy doesn’t mean not fun. Hard can be rewarding, some people don’t like hard. It is what it is. Old Reggie Wayne & Cassius Marsh as proof [of what?] is just crazy comment section logic. Players that don’t like their Patriot experience are the ones that can’t take tough coaching, get eaten up by the pressure, blame others for failures and expect things are supposed to be given to them. After losing for 10 years I found winning extremely fun. What it took to become a winner wasn't fun but the results were sand the guys I won with were plenty fun. You can't get mad at Cassius for saying it wasn't fun for him. Those are his truths. I mean the team slogan is #NoDaysOff lol. This entry was posted in Patriots News, Patriots Twitter and tagged Andre Tippett, Martellus Bennett, Shea McClellin, Tedy Bruschi on May 31, 2018 by Robert Alvarez.